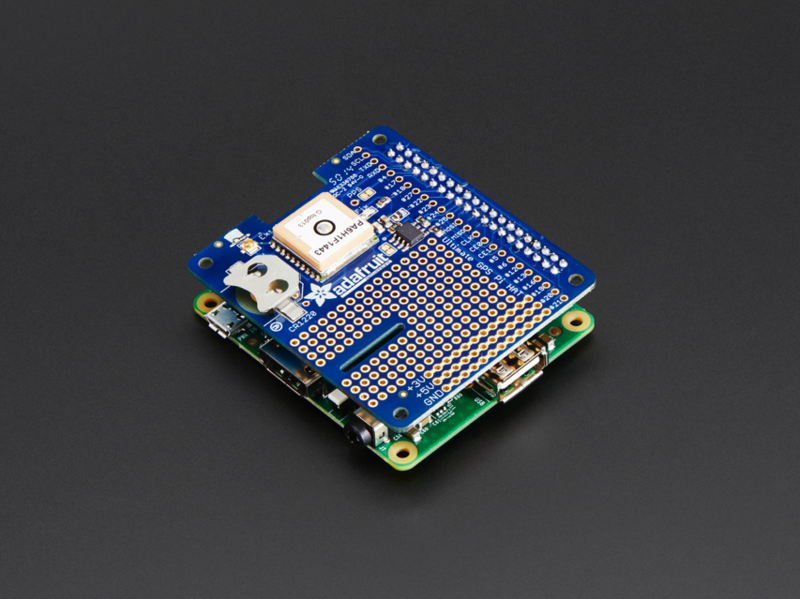 NEW PRODUCT – Adafruit Ultimate GPS HAT for Raspberry Pi A+ or B+ – Mini Kit « Adafruit Industries – Makers, hackers, artists, designers and engineers! Built in Real Time Clock (RTC) – slot in a CR1220 backup battery for 7-years or more of timekeeping even if the Raspberry Pi is off! 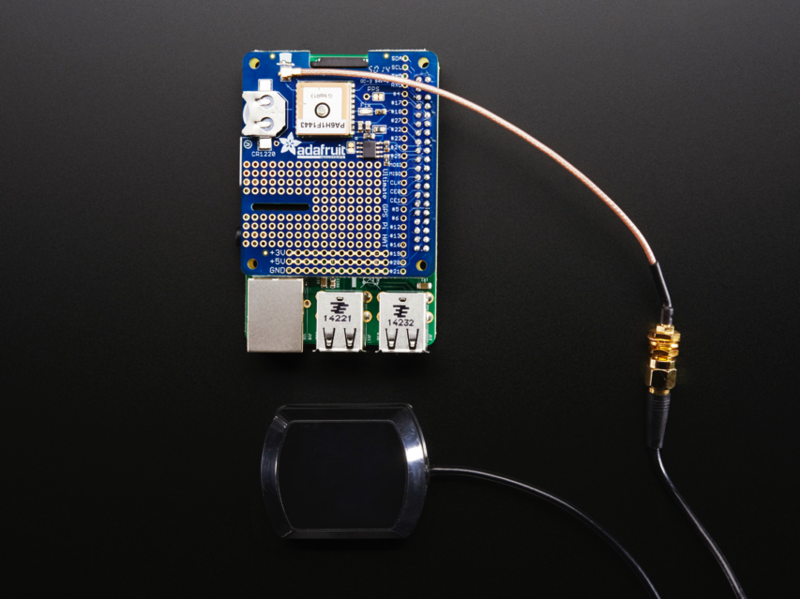 We spun up a HAT based on our Ultimate GPS, added a coin-cell holder for RTC usage, break-outs for all the Raspberry Pi’s extra pins, and plenty of prototyping area for adding LEDs, sensors, and more. 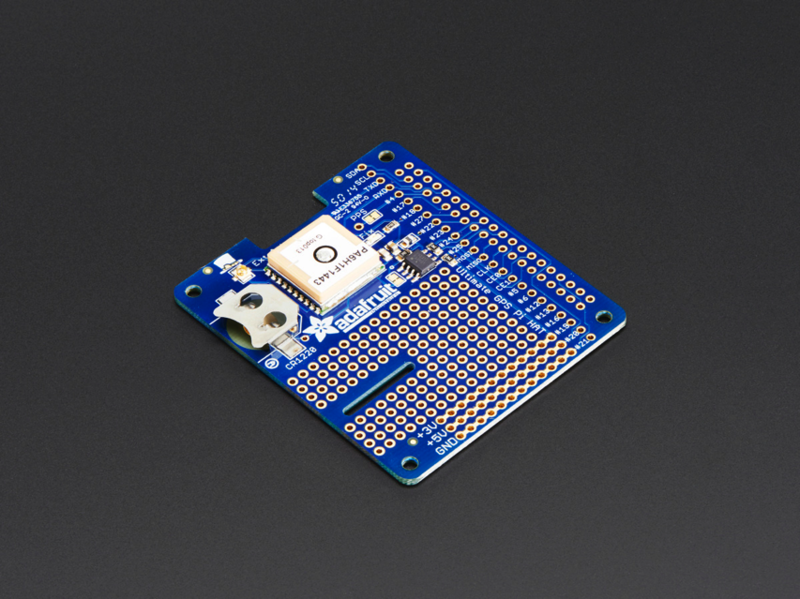 Comes as a fully assembled GPS + PCB and an additional 2×20 GPIO header. 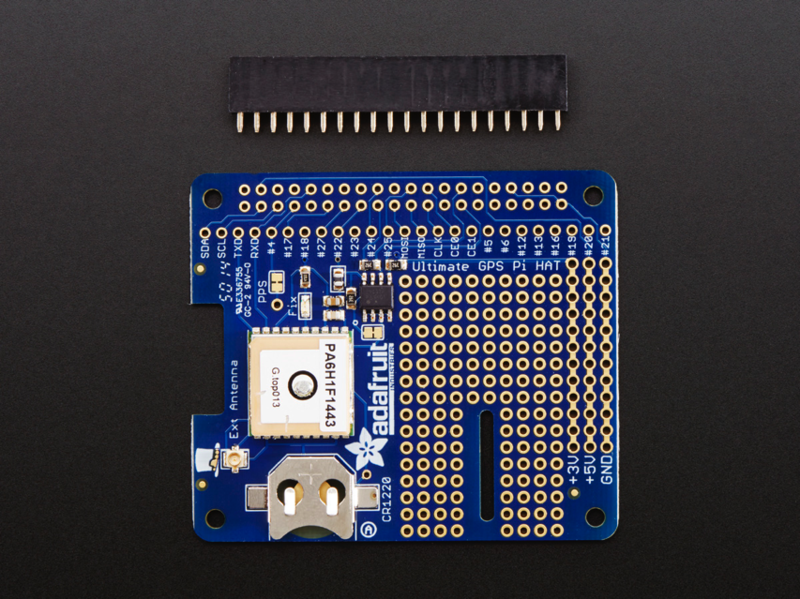 Some light soldering is required to attach the 2×20 GPIO header to the HAT but it’s fast and easy for anyone with a soldering iron and solder. 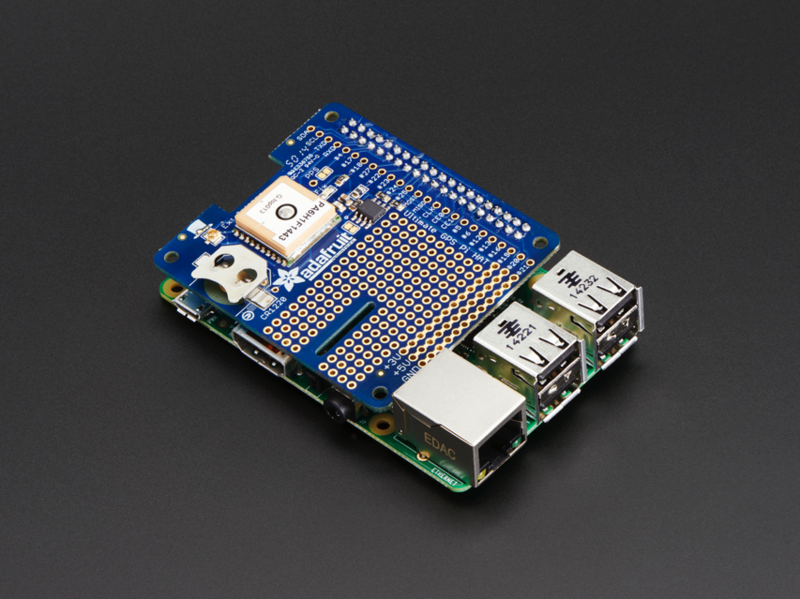 You can also swap the plain female header we have with a ‘stacky’ type that lets you plug in a hat or GPIO cable on top or a slim ultra-low-profile header.